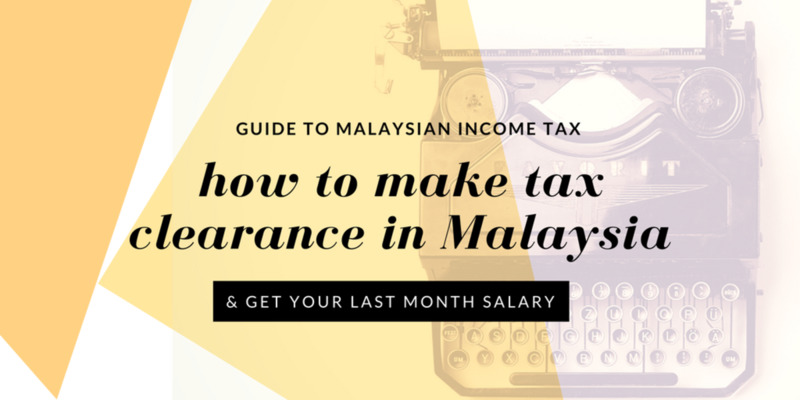 If you want your last month's salary to be credited to your account and not be withheld by the Inland Revenue Office, then read these guidelines on how to make tax clearance in Malaysia for expatriates and local Malaysians. What is a Tax Clearance? A tax clearance is a certificate or letter from Malaysian Inland Revenue (LHDN) that says you either do or don't owe any outstanding income tax. Upon getting this letter, your employer will release the balance of any money withheld from you after you settle the outstanding taxes (if any) as shown in the tax clearance letter/certificate. This money is either be your salary, overtime payment, gratuity or compensation due to you. The Tax Clearance Letter or Certificate (Surat Penyelesaian Cukai, SPC) applies to both Malaysians and expatriates or foreign Workers. Who Needs to Apply for Tax Clearance? You need to apply for a Tax Clearance if you are retiring, leaving employment at the end of a contract, resigning, terminated from your employment, or leaving Malaysia for a period exceeding three months. When a taxpayer dies, their next of kin needs to apply. When to Apply for Tax Clearance? 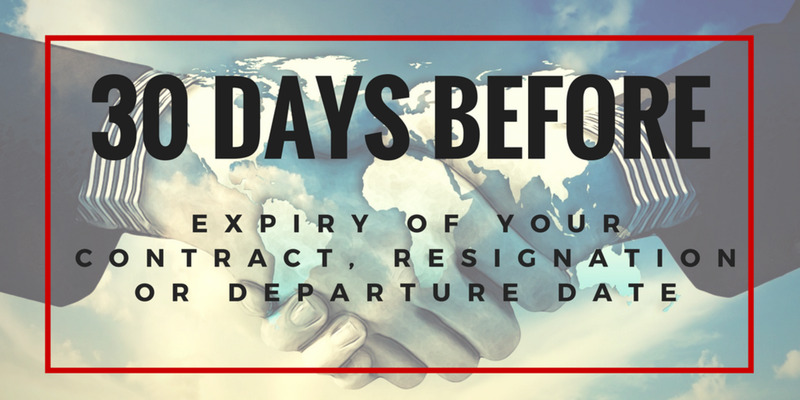 For LHDN to expedite the issuance of the Tax Clearance Letter, you must apply 30 days BEFORE the expiration of your work contract, your date of resignation or termination of employment, or the date of your departure from Malaysia. In the case of death, the next of kin must submit the application within 30 days after the date of death. How to Apply for a Tax Clearance? Form CP22B (for retirement, resignation or termination of employment if you work in the public sector). In the case of death, the beneficiary of the deceased taxpayer must inform the taxpayer's employer; then make sure the employer informs LHDN immediately of the death. The submission can be done online through e-SPC (by the employer only) or manually through the LDHN office that handles your income tax file. To expedite the issuance of the Tax Clearance Letter, make sure you submit the latest income tax return form. This will update the current status of your tax assessment. If you are eligible for the Monthly Tax Deduction (MTD), and you leave the country, retire or resign before 30th April (Income Tax Return Due Date), then you are not required to submit the income tax return. For example, if you leave, retire or resign in November 2016, then you don't have to submit a 2016 income tax return (which would be due for submission end of April 2017). But if the date of departure, resignation, or termination is in 2017, say on 31st March 2017, then you must submit your 2016 income tax return (to be submitted before 30th April 2017). This is to declare your income for the period 1st January 2017 up to 31st March 2017. If you are NOT eligible for the monthly tax deduction (MTD), then you have to submit your income tax returns for the prior years AND the current year of your departure, resignation or retirement. What If Your Application for Tax Clearance is Delayed? Delay in submitting the application for tax clearance may be subject to penalty. Even though LDHN will take the employer to task, it is also your responsibility to ensure this does not happen. And by doing so, you get monies due to you as soon as possible. So, what is the penalty? 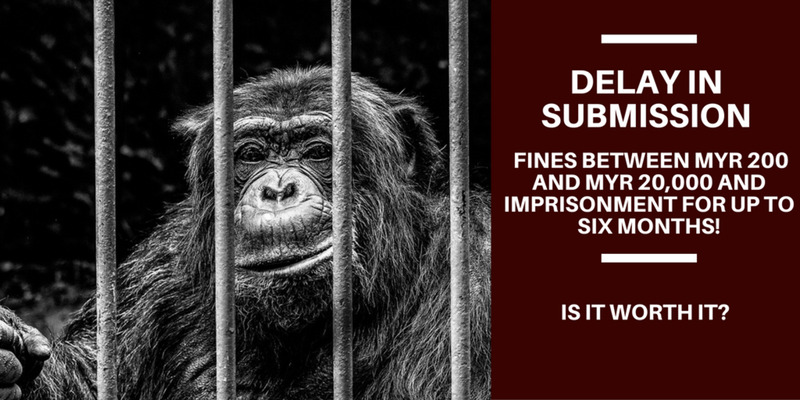 The penalty will be in the form of fines between MYR 200 and MYR 20,000 and imprisonment for up to six months. LHDN might take legal action against an employer who fails to pay the outstanding tax as per the Tax Clearance Letter. So this is no laughing matter. If you are an Expat or a Foreign Worker working in Malaysia, but still unsure of the Malaysian Income Tax requirement, then read this article that lists all the things you must know about the tax requirement in the country. How Soon will LHDN Process My Application? If you submit all the required documents and there are no further queries, LHDN will process and issue the Tax Clearance Letter within ten working days. 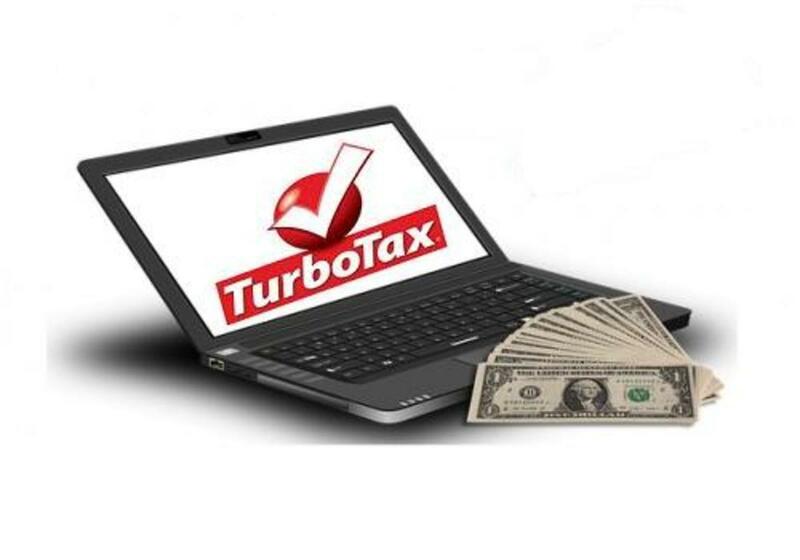 Do You Need to Close Your Tax File? If you are leaving the country for good or are retiring and will not be receiving any future taxable income then you should close your tax file. Apply in writing to the LDHN office that handles your file (provided there are no outstanding monies due to LHDN) and ask for your tax file to be closed. 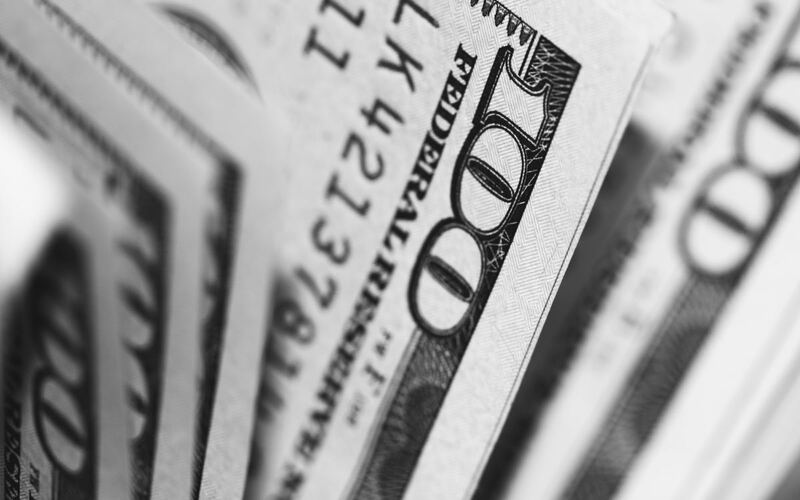 If you are entitled to bonus payments or any additional salary after your departure date, you are required to declare this income, which may be taxable. Your employment pass or professional visit pass must be canceled before you leave the country. Submit your application (done by your employer) to cancel the pass within one month of your departure date. If you have any comment to make on this guide to tax clearance In Malaysia, or you want to share your experience on tax clearance, let me know in the comments below. There are instances where questions posted here are already answered in the previous queries by other readers OR the answer is already in the article. Hence, I will not be replying to those questions. I will also NOT answer any questions that you send via emails. Any questions, please submit through the comment box. LHDN is asking me to request my HR for a Tax Borne letter (taxes are borne by me) but HR doesn't want to give it. Do I really need the letter to proceed with the tax refund? I don't understand why your HR is refusing this request. LHDN may need this to verify the amount paid as there are cases where such amount although deducted from your salary, is not paid to LHDN. 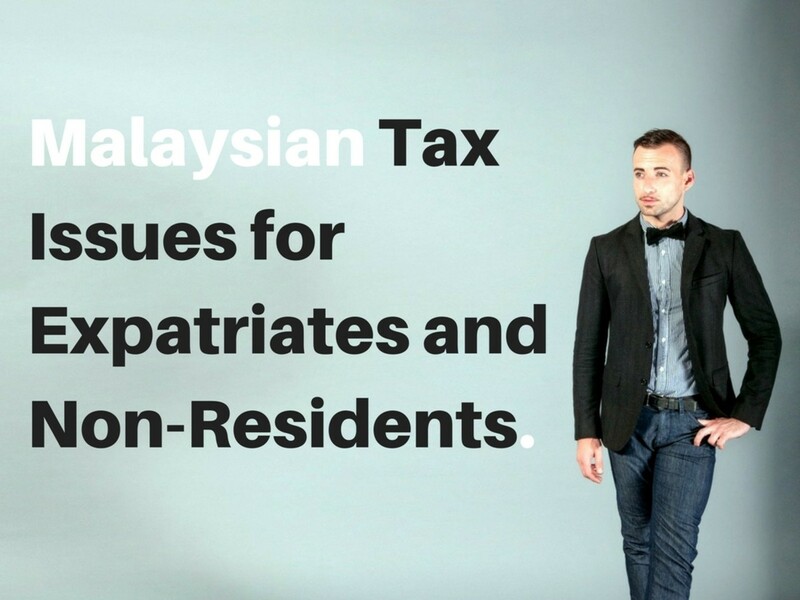 Do Malaysian expats need to do tax clearance? Yes, when you resigned to work aboard, or when you are about to retire. If I have done tax clearance at LHDN, but due to some reason my last day has been extended by another two months, what are the documents I need to prepare for resubmission? Same as before, but now to attach a letter from your employer to explain the extension. This two-month extension needs to be within your work visa period. Can I let someone take care of my tax clearance since I'm out of Malaysia? Yes, you can appoint an agent to handle this for you. I have a question about tax clearance in Malaysia. I have submitted all of my tax clearance documents on 18 Dec 2018. As of 4 Jan 2019, I still have not received the Tax Clearance Letter. How can I check on this and who I should talk to? Give them 14 working days to reply. Otherwise, go to the office where you submitted your form. I am not going to continue my job, and my last day is on July 15th. During this period, I am going back to India for medical treatment for my wife (18 days). Am I eligible for any tax deduction? (182 days not completed). Any income is taxable, so you have to file your tax return before your departure date. My employment pass is canceled, but my income tax is not cleared. Can I still live in Malaysia legally? If your visa has expired, you cannot stay legally in the country. if I lost my tax clearance copy, how can I get it from LHDN? What if the termination is immediate? There is no way to file tax clearance within 30 days. I have submitted all necessary documents to LHDN for my tax clearance, but I have received no reply after fourteen working days. What should I do? If you are in a hurry, pay them a visit and bring all the required documents. I began working in Malaysia on 1st Nov 2018(employment pass) and resigned and my last working day was on 29th Dec. Do I still need to pay tax because I worked for less than 60days? Yes, you are exempted from tax. Can we go to any LHDN office to get the tax clearance letter or only the one who keeps our tax file? I think you have to go to the Malaysian Inland Revenue office that keeps your tax file. I have engineers from my HQ in France working in Sabah. They are working under Professional Visit Pass, and paid in France. Are they liable to pay any income tax in Malaysia? If no income is derived from Malaysia, then no. I got a Tax Clearance Letter from LHDN. My Visa is expiring on 15th Dec 2018. Do I still need to cancel my Employment Pass? If you are not going to work here anymore, then you should. What if my company delays my tax clearance in Malaysia? Is there a way for me to complain to LHDN and avoid the penalty? Jayson, you have to inform the tax department that you are no longer working in the country. Otherwise, in their record, you have not filed in your tax return for the subsequent years. Yes, that is right. This is assuming that you are an expat. I am an expat fromMalaysia and already in Philippines. The company pays me upto Dec 2018 and they dont pay my leave til Jan 11. I leave Malaysia Jan 20 and my employment pass will expire on July 2019. I asked my company before I leave to settle my tax clearance but they said I should do it but they have to prepare a form. I already filed my income tax return for year 2018. Do i need to inform LHDN that I am no longer working in Malaysia and already back Philippines last Jan 20, 2019? Do i still need to close my tax file? Hi Mazlan, I worked in Africa for the whole of 2018. I understand that income from foreign sources is non-taxable. So do I input into the BE form for 2018 as zero income? Me and my turkish national boyfriend planing vacation in malaysia for 3 to 5days,do we need an exit clearance before we leaving malaysia? I am working in Malaysia for the past 7 years..I have been a resident in for all years since 2012. I am leaving the country on march 30th for good... will I be considered a resident for 2019 ? I am a foreigner about to leave malaysia. I am now in the process of applying for my income tax clearance. I realized sometimes I used the foreigner e-gate so my passport does not show the necessary stamps to demonstrate I have stayed more than 182 days in Malaysia. Is there any other way I can do? Perhaps showing all my pay slips as I am subjected to MTD? I'm a Malaysian. My last working day in my former company is on 4th Jan 2019, and i do receive all my salary during end of Jan.
Do i still need to submit the CP21 form for tax clearance? You can download the form, fill in as much as you can and give it to your employer to fill in the rest of the info. I suggest you hand it to LHDN by hand as your employer may take awhile to do it. You can stay in Malaysia as long as the visa is still valid. Hi. I am a foreign worker in Malaysia. My last day with my company is 20 Feb 2019. My employer did not provide tax clearance form yet to me. By when should I provide the tax clearance form to the LHDN to avoid any fines? Also, some say that I need to leave Malaysia on the day of my last day which is 20th of February to avoid residence taxes. Is that true? I have already bought the flight ticket for 1st of March. Could I get any advice on this? Dloris, it is now 2019 and almost 3+ years since you left the company. I think it is best you write to LHDN and seek their guidance. Teoh, since you worked for more than 60 days, so your income is taxable and hence, you have to do your tax clearance. I'm Malaysia my partner is expart. I left company was 2015. And now I'm not in the country. Which form that I suppose to use? I'm a malaysian and fresh. I have leave my company since it is 24hrs notice period but i work more than 3 month. And I gave the reason of leaving for the employer is planning to work in oversea. So, the employer want me to do tax clearance with cp21 form since i gave them reason is planning to work abroad. I still fresh don have any tax, my company didn't hold my salary and i still planning to work abroad (havent work yet). So, i must do tax clearance for this situation? or i can ignore it? Kavisha6, CP22 is the Tax Clearance Form for Cessation of Employment of Private Sector Employees (CP22A) and Public Sector Employees (CP22B). Leaving the country is CP21. CP22 must be submitted by both local and expat. Bassel, you left the country for more than 14 days and hence, your earlier 3-month stay cannot be part of your 182-day calculation. So, your 4 months working period is short of the 182 days for resident status. Is CP22 submission only for those who are leaving malaysia (expatriate or malaysian to work at oversea) am iright? Does the foreign worker who were categories under direct labor also need to submit the CP22? I stayed in Malaysia 3 months social pass without working..
Now i resigned my job before completing the 182 days..
My question do i consider as a resident now? The full period of staying in Malaysia 3 months social pass and 4 months working? Tax Clearance Letter is issued within ten working days of receipt of your completed documents. Both you and your employer will get this letter. If you don't receive it by this date, contact the LHDN office that handles your file. We understand that “End date” in CP21/CP22A form has to be as per employee’s termination date however, if EE is terminated in January 2019 retrospectively from Dec 28, then how it should be reported in 2019 CP21/CP22A forms. Currently, start date is showing as 01.01.2019 and end date is 28.12.2018 in CP22A form. Please confirm if this is the right process. I've submitted tax clearance 12 day ago. My Question is how to check status of tax clearance letter. Just explain your predicament to LHDN as most companies will do exactly like what your company is doing. I'm a Malaysian and currently working for a Malaysian company in Malaysia. I've got a job offer overseas, for an overseas company. My last day of service for my Malaysian company shall be 9th February 2019, and my joining date for my new overseas company is 15th February 2019. I read that for tax clearance, application has to be done 30 days prior to resignation. As such, since 9th Feb 2019 is my last day of service, my application for tax clearance shall be a month earlier, approx. latest by 9th Jan 2019. However, my company is claiming that since my last day of service is 9th Feb 2019, they will only proceed to mail me the completed CP21 and PCB2 forms upon payroll lock after 9th Feb 2019. This would mean that I'll violate the 30 days requirement, but the delay is absolutely due to the company HR and completely out of my control. Can you advise what I should do? Thank you in advance. I am an Expatriate and working with my current company since 15 sep 2017. I am resigning from my current job and the last day of my current company will be 11/01/2018 and I am joining new company 1 st of February. Do I have to do my tax clearance? Hi, I am an expatriate who will be leaving Malaysia in February 2019. Which one comes first - cancelling my EP or do tax clearance? I would like to know if there will be any refund if you exit Malaysia within 3 months. Tax was deducted at 28% for 3 moths. I haven't file CP22 to LHDN while my foreign worker start to work for my company. 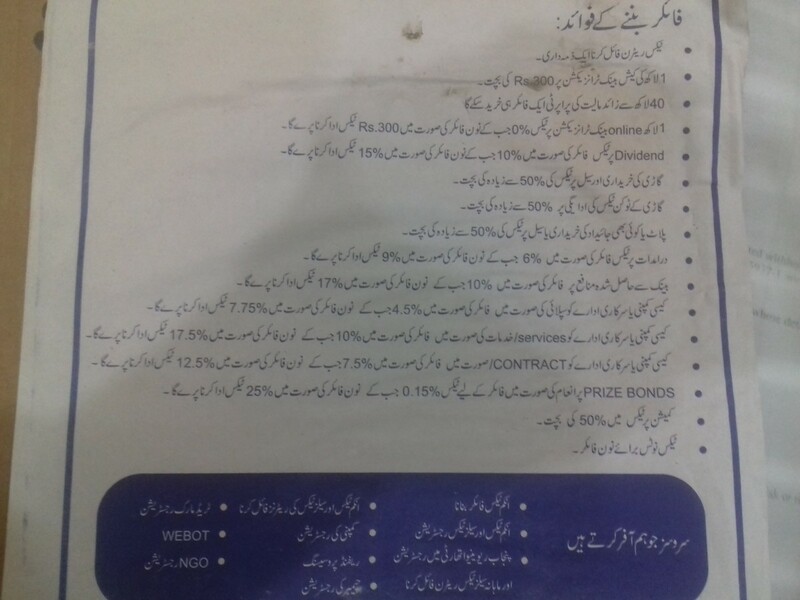 and my foreign worker never pay any pcb as well as submit income tax thus there is no tax file number with IRB. do i need to obtain tax clearance when my foreign worker leave malaysia? Need your help if there's a way to download an authorization letter to get my tax clearance. I already applied my tax clearance on 3 Sept, but I'm currently in the Philippines right now. I will just authorize my ex colleague to get it for me so they can release my last pay. I will be leaving the company without completing the 182 days, will I be entitled for the tax refund? If let say that I am a foreigner and worked in Malaysia before, I have cleared all my tax and currently in cooling period. (I was Residential status). Anytime I come back to Malaysia for working again, will I get 28% tax deduction? Due to family urgency, I left Malaysia and my employment has expired(2 years before). I didnt have to time to do the tax clearance at that time but according to the LHDN online report, LHDN still owes me around 15K RM for tax return. I was wondering if it is OK for me to go back to Malaysia on tourist visa to close this case? Any concern or issue while passing custom check point? Hi, I paid my income tax for FY2017 and migrated to other country since Jan 2018 (no income in Malaysia since Jan 2018), do I have to apply for tax clearance? Thank you. I have started working in Malaysia in April 2018. My 182 days will be completed by end of September 2018 and become tax resident here. But my current contract end by December 2018. Is it possible for me to submit tax clearance before I leave Malaysia in December and get refund of excess tax I paid during initial 6 months? or I have to wait till yearly tax return in April 2019 for refund. I have resigned from my 1st employer and my 2nd employer is filing my New Employment Pass ( EP). I need to know that is Tax clearance letter a mandatory document for EP filing. If yes, Since my 1st employer does not have TCL now so can it be substituted with Tax Position statement issued by IRBM so that EP can be processed and once TCL is received by 1st employer, it can be submitted to 2nd employer later. I want know the my tax slab and resident or non- resident details, my employement started here in Malaysia from June and my cotract perioed is 1yr So which tax slab is applicable for me and what is the status resident or non- resident?? Can anyone help me by replying. I was taxed as resident in 2017,I continued to stay in Malaysia only for 4 months in 2018,Will I be taxed as a non resident for 2018?Is it mandatory that I stay for 182 days every year? ramon bahadur, you have to give more info like when you start work/arrive in Malaysia, the year that you are referring to (as in your stated Dec and Fe) etc. Nguyen, the best thing to do is to visit LHDN's office in person and explain your situation. my question is this : according to my reading on the Malaysian tax system , do my company have the right to do a monthly tax deduction from the salary ? or am i the responsible of doing my own taxes ? because according to Malaysian tax codes if an individual is in Malaysia for a period greater or equal than 182 days he is consider to be a resident and therefore i wont be taxed at a rate of 28% because between the starting date (25/06/2018) and the end of the year (31/12/2018) there is 190 days ? What if my current employer delays in sharing the CP21 letter required for getting the tax clearance? I am seconded from Malaysia to work in Singapore as an expat( I am a Malaysian) on May 2017. I got my tax clearance that time and pass it to my employer. I still have my salary in ringgit and allowance in SGD .Do I need to file my tax in Malaysia still? on Tuesday ie 8 may 2018 i have filed and submitted my Taxation in the HASIL for 2017 and it seems i have piad over 20 cents more! i have resigned from my current organization on monday 7 may 2018 and want to leave to my country india as early as possible but my office says you need to wait for atleast 3 weeks get tax clearance for my visa to get cancelled, unfortunately i have to leave before 28th of May 2018 at any cost due to some emergency! how can i get my tax clearance certificate immediately for submitting to my office? your kind suggestion is very much solicited! thanks in advance! This is Krish and working as a IT employee. I have two questions. 1. My Employment started in Malaysia from 1st of January 2018. Now I would like to resign and go back to my country, Due to some personal work. If I resign now, am I eligible to get the Tax refund which was deducted 28% from my salary. I have one month of Notice period. If yes please share the details to claim it (Even though if it’s not crossing 182 days). 2. And I have traveled to my home country couple of times for 4days once and one week once. Will it also consider as I’m out of Malaysia? It would be a great help if you share few details to claim Tax. Thanks in advance. Priyangamani, submit your tax return for 2017 income online (closing date for online submission is now extended to mid may 2018. Then in June submit your tax clearance together with your income for 2018. Regarding tax refund.I started working on May2017 to till date.Suppose I need to end the contract on coming july means can you tell me what I need to do? My responsibility has been made redundant and my contract has been terminated by the company since 11 May 2017. Since then till today I have no job, thus no income. I am 58+old now and has been depending on my saving from EPF since then. I have requested for the EA form EA form/ PCB deduction form of 2017 since my last day of work but only been provided on 1 March 2018. Since I was no able to work and does not have income, I have requested for completed CP22A form filed with LDHN and been provided by my former company on 19 March 2018. (1) Do I still need to file the BE form since CP22A has been filed by my ex company with LDHN? (2) If I still need to complete the BE form for 2017, may I know what is the further required to enable me to complete the efiling of BE form of 2017 correctly and to close my tax file adequately with LDHN? Your kind prompt and kind advise will be much appreciated since the due day is getting nearer. My email address is tsphin@yahoo.com. My employer purposely waited for more than 60 days before they gave me the CP22A, in which I will submit immediately. Can you tell me what I should bring to the Tax office?. I have printed by 2016-2017 tax return, but not yet done my tax yet. I am an expat, but applying for Talent Corp which is now approved. My employer is in the process of cancelling my EP. Benn, it is best for you to visit LHDN office and explain the situation to get the correct clarification. I left my previous employment on 5th January 2018, and did the tax clearance as well and left the country after paying the tax amount I was liable for. Now I have joined another company in February 2018. So, do I need to file my income tax return for 2017 in 2018, as I have already done the tax clearance in January 2018? Also,since I worked for 5 days in January 2018, so how and when do I fill my income tax return for that period. Is it in 2019? rahsdk, why don't you see the LHDN and explain your situation with regards to your tax clearance? Hi Mazlan, I have a question. To fill in the inside and outside Malaysia duration tax clearance form, I was in the Malaysia since 2013, do i need to fill the whole year from 2013 till present in the form? Thank you. I am madhu I worked in Malaysia on july 2015 to july 2017 previous company not cleared my tax amount in 2016 now I got new company in Malaysia they are applied for visa but application is rejected because of tax is there any solutions for this problem? Hi Mazlan, Thank you for all the help you do in this forum. I am in a massive pickle. My employer had promised to pay my taxes. They had paid for 2015 (28k), but for 2016 then paid only 15k of 46k (31k in arrears) and now for my 2017 tax there is additional 46k. So in entirety the tax is 76k! There was no monthly deduction been done. I was told it would be taken care of. I do have one or two emails where they have responded to my tax being paid by them. My contract does not specify explicitly. The last 2 payments are directly from the company current account, if that is of any proof. I certainly dont have that kind of money and now cannot even join another company in malaysia. What should I do? I am losing sleep over this. my contract got terminated due to company department closure on jan 31st. I still have not gotten tax clearance and severance payment. company says waiting for tax clearance. is there any thing i can do? I am an expat started working in Malaysia from August 2017 and recently my employment got cancelled since I resigned.my last day in Malaysia is Feb 28th 2018 . Since I don't want to come back to Malaysia again and since I want to leave the country immediately in few days ,can I pass the immigration in airport if I don't have the tcl ?? Or will they send me back to get the tcl even if I don't want to come back to Malaysia again ??? Hi Mazlan, question about tax clearance. I have already left Malaysia for permanent employment for almost 2 years now, and when I left Malaysia i submitted all my tax filling up until 2015. I was employed overseas since 2016 till now. When i left, i did not know what is tax clearance as I was unemployed before i got this job offer, so i end up leaving without submitting for any tax clearance. Should I still do a tax clearance with LHDN now? P/S: My 2016 filling for 2015 already indicated lesser income where i also stopped employment in May 2015. Hi Mazlan. I am Malaysian but have not been deriving income from within Malaysia for some time now. 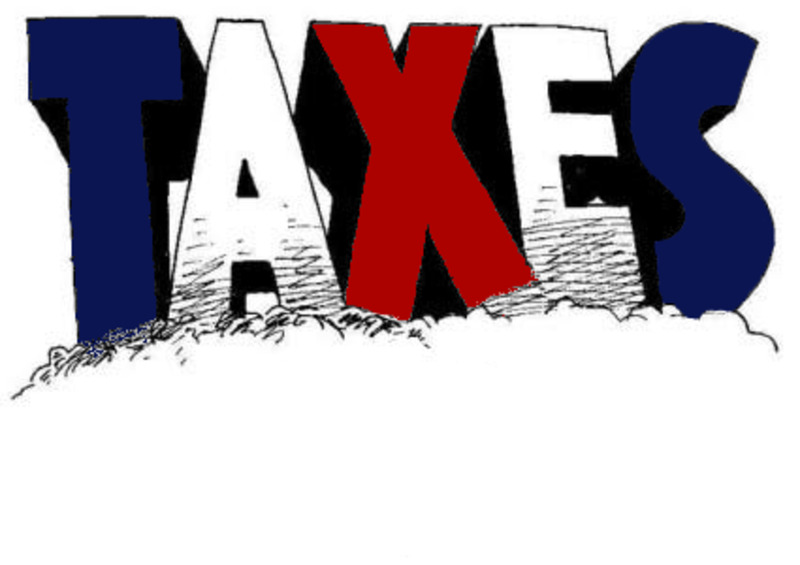 Do I still need to close my income tax file, or can I just declare 0 every year during tax season? Please help me, I am very confused. Some people say to close, some say don't. Thank you! Hi Mazlan, I am an expat and left vendor company on 22nd of December, and joined client on 9th of Jan 2018, all the while I was in Malaysia. Now client HR is saying that I have become a non tax resident again as there is a break in employment. What does your expert opinion say about this case. I would like to ask a quick question on CP21. If an employee was terminated in say July, employer has filed a CP21 form for him. Then the employee received an additional amount of income say in September. Shall employer issue another CP21 form to reflect this amount? If yes, whether the employer should issue one OR one form containing all the earnings for the year? Actually, is there anything in the Income Tax Act asking the ER to issue another CP21 if the earning changed? How and what will be the treatment if they received income coming from here in PH that was based on their performance in 2016 (late charged of performance)? Will still report this on their 2017 income? hi, i have submitted the requirements for the tax clearance. is there a way for me to check if they have completed the tax clearance letter? PHGuyinKL. If you have income from Jan 2018 onwards, yes you still have to declare that income. Penalties are imposed on the late declaration. Mal, this secondment is on 'permanent basis' and you will not be coming back to work for the company in Malaysia? Mazlan does the employer have an obligation to ensure the tax clearance is correct. I left in May in July owed amount was emailed to me nothing paid by firm and then in Dec I was told I need to pay tax as non resident incl fine. The assessment was done on my passport stamps which is not always stamped when you leave MY. This is incorrect and HR could have verified against travel records. What should I now do ? I am in a dilemma and could use your expert advice. I recently took up a secondment to Singapore and was just told that i had to clear my tax in Malaysia and open one in S'pore. I am only here for 3 months on secondment. So what should i do now? What's more frustrating is my local HR has not adviced anything on it to me. Looking forward to your advice. I am resigning from work, currently my work permit is until march 18, 2018. first thing, do I have to file for my tax from January 1-march 18, 2018? will I not be pay any penalties? because last time my colleague also was terminated by my company during the same month, as ask to pay some penalties because there is some number of days to stay in Malaysia so that no penalty will be impose upon leaving. hoping you can help me on my inquiry. Hi Mazlan, I'm a Malaysian and going to work outside Malaysia so my current employer had requested me to submit income tax clearance just 2 weeks before my last day of work. Understand from your sharing that income tax clearance must be submitted 30days before my resignation or departure date. So would this cause an issue to me because I do the tax clearance in less than 30 days from my departure date? Hi Mazlan! After reading this article for the past few months battling a notorious employer in Malaysia, it was really helpful for us expatriates learning so much about your taxing system. It became a tool to enslave us because we don't have the knowledge regarding your taxing system. We are done with our tax clearance and submitted to the evil employer. However, we are suppose to fly within this week and the bad chinese lady won't release our last pay. What can be the best rescourse? Thank you in advance and keep on writing! I am an expatriate who commenced my employment in Malaysia from 17 july 2017 until 03 Nov 2017. I am leaving Malaysia on 13th Nov. I asked my Employer to cancel the Visa and I have submitted passport to do so. If I submit documents for tax clearance on 06 Nov 2017 and if I dont get tax clearance letter before 13th Nov will I be held at the immigration? Can I get the acknowledgement letter for tax clearance from LHDN to travel on 13th Nov? Hey, I am working in Malaysia as Expatriate. I entered in Malaysia on 15 June,2017 and joined my company on 19 June,2017. I left Malaysia for 12 Days on vacations and came back on 10 Sep,2017. Now i am resigning from company and my EP cancellation date will be 31 Dec,2017. so if we calculate my stay in Malaysia from 15 June,2017 to 31,Dec 2017 that is 186 Days (Excluding those 12 days when i were not in Malaysia).I am paying 28% Tax as Non-Resident. So i apply for tax clearance in mid of November 2017, for 15 June,2017 to 31 December,2017. Should i be able to get refund my tax? My Status from non Resident to Resident will be change on 31 or 30 December,2017. my father age 55, he is a self-employed wish to close the tax file due to not receive any income already. he declared borang B, may i know how to close the tax file ? isn't only by writing to the branch? Raghvender, I am not familiar with banking requirement but I suppose it is OK if the money received is not related to work income. If it is then you have to declare as income received. If I have a friend transferring some money in my salary account (MYR) and then I am remitting it to him outside of MY, is it ok or will it be taxed as gift or sth? How can I check the 14 days rule? For example, I left Malaysia to have a short visit in the Philippines last Aug 31, 2017. My flight was scheduled at 0120 AM. In this case, I should be considered to have stay in Malaysia on Aug 31 right? My return date was on Sept 5. I am thinking that the count should work only on Sept 1 to Sept 4. (4 Days). To add, my passport was stamped by immigration at around 1130 pm, Aug 30 before leaving Malaysia. Hoping for your help on this. Thanks! #2: Close your tax file if you don't expect any other monies being paid to you and if you will not be coming back to work in Malaysia in the near future. Since you still have to file your tax for 2017 income, you should only close your tax file after this is completed i.e. by mid-2018. I am an expatriate who commenced my employment in Malaysia from 17 Oct 2016 until 19 Oct 2017. I have already left Malaysia for good on 15 Sep (the remaining days of employment being adjusted against annual leave due). Before leaving, I submitted the documents to LHDN office for tax clearance. My employer received the tax clearance letter directly from tax office (as I requested the tax officer to do so) to release all the monies which is due to me. 1. For period from Oct 2016 till April 2017, I paid excess tax as a non resident. How can I get the refund? Do I need to submit any form? 2. Should I request LHDN to close my tax file? Appreciate your kind reply. Thanks. Diesha, if your stay is less than 60 days (as per your 6-7 weeks stint) then you are exempted from tax. Please discuss this with your employer, before they made any salary deduction. I'm suppose to move to MY as a short term company transfer in next month(October) and will be working 6-7 weeks in MY with MY offered salary. So if I were to return to India before completion of the 60 days is there any possibility for me to get claim the tax deduction or I have to forget about that 28% of my salary.